Lab time at the University of New Hampshire is two hours a week for undergrad A&P. That, says Professor Mary Katherine Lockwood, is not enough time to truly study and learn anatomy. Lockwood uses Visible Body’s Course Pack, which integrates Visible Body’s top apps into a learning management system—in this case, Canvas. She can assign visual learning modules, practice quizzes, and off the shelf quizzes from the graded quiz bank. She also uses the Course Pack as homework by assigning content before lab time to get students ready for that week’s lab activity, and then also for when they are done with labs to assess what they’ve learned. “Visible Body is a great student tool. My TAs give them a practical exam, and if the students have just two hours to look at the heart and don’t have the opportunity to go over it again, they won’t learn it,” she says. 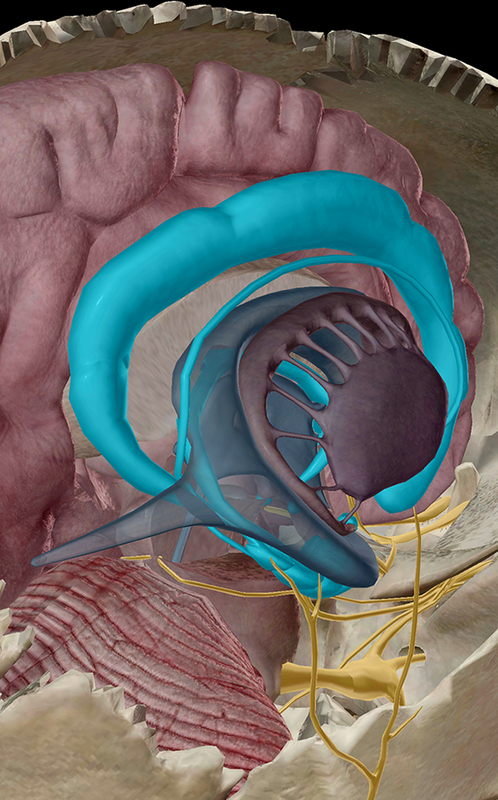 Close up of the limbic system, in context, in Human Anatomy Atlas. Lockwood says the students use Human Anatomy Atlas more in the lab due to its easy exploration of anatomy for all body systems. Anatomy & Physiology, a guided tour of anatomy and physiology for all systems, helps them reinforce their learning. Having a large number of students makes the Course Pack’s off-the-shelf quizzing convenient and easy. A dissection quiz in Human Anatomy Atlas, prompting the quiz-taker to select the renal pelvis. What content makes a light bulbs go off over students’ heads? Muscle origin and insertion points are huge. Shown: Horizontal adduction of the shoulder. Compared to some of the other platforms, she says, Course Packs are affordable—and it’s a big win that the mobile versions of the apps are for students to keep forever.